This 5 bedroom villa with swimming pool is located in Paralimni and sleeps 10 people. It has WiFi, barbeque facilities and parking nearby. 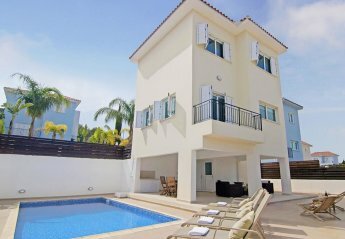 This 4-bedroom villa for up to 8 guests is located in Ayia Napa and has a private swimming pool. This 2-bedroom villa for up to 4 guests is located in Protaras and has a private swimming pool. This 2-bedroom villa for up to 5 guests is located in Protaras and has a private swimming pool. This 3-bedroom villa for up to 6 guests is located in Protaras and has a private swimming pool. 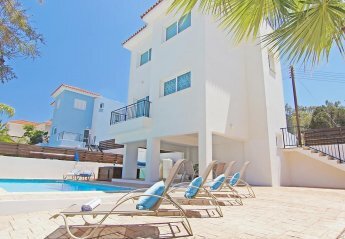 This 3 bedroom villa with swimming pool is located in Ayia Napa and sleeps 9 people. It has WiFi, a garden and barbeque facilities. This 2 bedroom villa with swimming pool is located in Protaras and sleeps 6 people. It has WiFi, barbeque facilities and parking nearby. This 3 bedroom villa is located in Protaras and sleeps 8 people. It has WiFi, barbeque facilities and parking nearby. 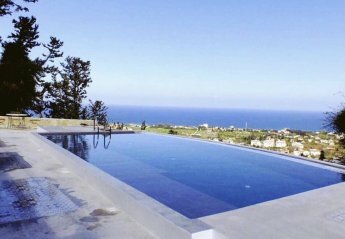 Stunning modern 2 bed apartment in Mazotos, Cyprus. Communal Pool and walking distance to village centre. With a fully fitted kitchen, TV and DVD, 2 large bedrooms and easy access to the communal swimming pool. 1 bed apartment - Stunning sunset view ! 1 bed apartment. 2 outdoor communal pools (inc whirlpools). Fully equipped kitchen for self catering. WiFi at reception. Quiet location. Larnaca Airport only 15 mins. Sleeps 2 comfortably. Great for a relaxing break. Blue Serenity is a luxury complex which was completed in November 2009. This 2nd floor apartment is spacious and well designed with luxury fittings. This brand new upmarket 1 bedroom apartment, sleeps 2/4 people (sofa bed in lounge) Fully air conditioned on a fantastic beutiful new complex in a traditional village called Pyla. 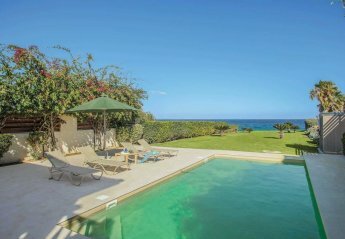 Communal pool & tennis court, peaceful relaxing location.